Here is the Part 2 of our series about how Yoga can help you manage diabetes. Have you started doing the asanas mentioned in the first of the series? First start with the easy to do asanas. 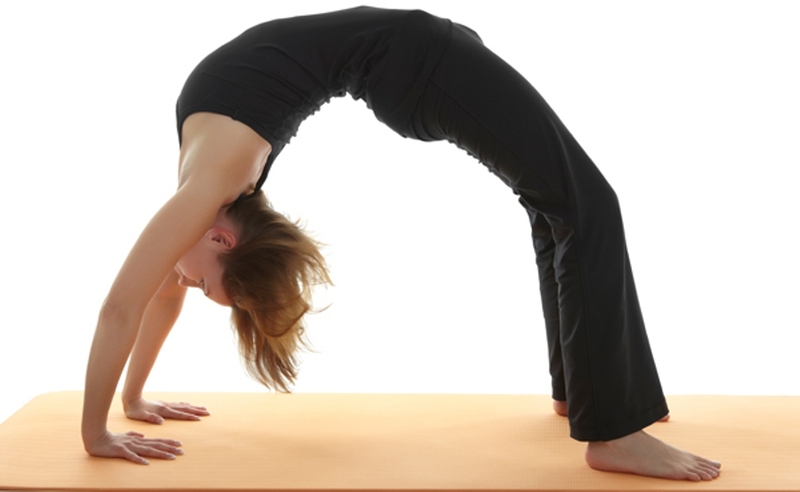 Then once your body becomes flexible, it is easier to try the difficult asansas. In this issue, we will look into few more Yoga asanas that benefits us in the most holistic way. These Yoga asanas can be easily done at home and all you need is a yoga mat, workout clothes and an open, breathable space. Continuing with the yogic flow, here are a few more asanas to help you feel light, rejuvenated and sure you can kick diabetes in the gut! This is another Yogic breathing exercise that rejuvenates the whole body by providing oxygen and improves overall mental health. It is recommended to practice this asana early morning when the air is fresh with high oxygen. Sit on your yoga mat in a cross-legged pose. Keep one hand on the knee with the palm facing up. Holding your nose with the other hand, inhale and exhale alternatively through each nostril. Keep the eyes closed and feel the oxygen flowing into your body! This pose increases the lung’s capacity to hold more oxygen and relaxes the spine to relieve backaches. Sit on your mat with spine erect and legs stretched out. Bend the right leg until the heel is touching your left hip. Take the left leg over your bent right knee. Place your right hand over your left knee and your left hand behind you. Twist your body at the waist, shoulder and neck and hold, while breathing deeply. Now start releasing your body, first left hand, waist, chest and lastly, the neck. Repeat on the other side. This pose increases blood flow to face, improves stomach functions, stretches the back and arms and strengthens thigh muscles. Sit on your mat with your legs stretched in front. Now hold the big toe of your foot with your hands and exhaling slowly, start bending forward until your forehead touches your knee or as per comfort. Elbows should touch the floor. Do not inhale and hold for five counts. Slowly inhale as you rise back to original pose. This pose regulates the thyroid gland which in turn regulates digestive, respiratory, reproductive systems and boosts metabolism. It also nurtures the spine and relaxes the nerves. Lie down on your back. Now slowly raise your leg, either straight or by bending the knees. Use your hands to support the back and hips, slowly raising the legs towards the ceiling. Point your toes, breath slowly, chin to your chest and elbows touching the floor. Hold this position as per your comfort and then slowly return to original pose, slowly. Tip: Not recommended if suffering from neck/spine injuries. This asana helps to calm the mind and relaxes back muscles and spine. Lie down on your back with arms stretched horizontally at shoulder level. Bend your right knee, bring it close to your hip and swing it to the left until the knee touches the floor. Simultaneously, roll your head to the right with both shoulder blades grounded. Hold for 10 counts and release the twist slowly. Repeat on the other side. So what are you waiting for? Practice these asanas, henceforth, and live a happy, healthy life with your diabetes under control! Happy exercising!